WILLCOCKS (Wilcox), JOSEPH, diarist, office holder, printer, publisher, journalist, politician, and army officer; b. 1773 in Palmerston (Republic of Ireland), second son of Robert Willcocks and Jane Powell; d. unmarried 4 Sept. 1814 at Fort Erie, Upper Canada. A man of some education and modest contacts, Joseph Willcocks left Ireland on 1 Dec. 1799 and arrived at York (Toronto), Upper Canada, on 20 March 1800. He stayed first with his kinsman William Willcocks. On 1 May he became private clerk to a distant cousin, Receiver General Peter Russell. Later, as a result of Russell’s influence, he became receiver and payer of fees in the Surveyor General’s Office. Willcocks petitioned successfully for a town lot in York on 15 July; on 12 August another petition for 1,200 acres was also granted, and he later located this land in Hope Township. On 7 August he moved into the Russell household, remaining there until 23 Aug. 1802 when he was dismissed for courting Russell’s half-sister Elizabeth*. The same day Willcocks visited Chief Justice Henry Allcock, who remonstrated with Russell, to no avail, on Willcocks’s behalf. On 13 October Willcocks moved into the home of Allcock, who proved a worthy patron. He soon received a position engraving deeds for the provincial secretary, William Jarvis. He was appointed registrar of the probate court and marshal of assize on 9 May 1803 and sheriff of the Home District on 4 Sept. 1804. Allcock’s influence grew after 1802 as Lieutenant Governor Peter Hunter came to rely more and more upon his judgement. Willcocks basked in the security of his appointment to the shrievalty: “No Governor or King can dismiss me without [my] having committed some high offence.” Although the “officers of Government disagree very much,” he noted, “I have the good fortune to be always at the strongest side.” In the fall of 1804 Allcock left for England and the following year he was appointed chief justice of Lower Canada. Willcocks was no longer on the strongest side. Willcocks had been contented with his lot in Upper Canada and had expressed no regrets about leaving his native land. However, the equipoise of his life in the colony seems to have been undermined by the loss of Allcock as a patron and by a gradual rethinking (since 1803) of recent events in Ireland. He had not supported the rebellion by the Society of United Irishmen in 1798. He had had doubts about the wisdom of the legislative union of Ireland with Great Britain in 1800 but had accepted it as a matter of loyalty. The immediate post-union period had, however, occasioned even graver doubts. When in 1803 his brother warned authorities in Dublin of imminent uprisings, Willcocks wondered if he were right in doing so. Willcocks became increasingly certain that true loyalty was to withstand arbitrary rule. Willcocks’s views began to crystallize around his understanding of 18th-century whiggism. According to that tradition, the revolution of 1688 represented successful resistance to authoritarian rule. Even though the British parliament was dominated by whigs throughout the 18th century, the concern over arbitrary power remained a dominant thread of their thought. Given the mixed or balanced constitution, in their view any increase in power by the executive or the crown meant a loss of liberty elsewhere. Consequently, the loyal subject needed to be ever vigilant. Willcocks’s outlook on these points was influenced by justice Robert Thorpe* and Charles Burton Wyatt*, the surveyor general. 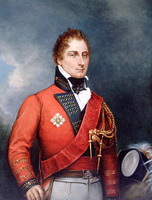 A successor to Allcock as mentor and friend, Thorpe arrived in Upper Canada in late September or early October 1805. He was Willcocks’s neighbour in York, and by coincidence they had cousins who were neighbours in Palmerston. Willcocks was attracted to Thorpe’s extraordinary self-confidence, his Irishness, and his clear criticism of the arbitrariness of the administrations of Hunter and his successor, Alexander Grant. In May 1806 Willcocks considered Thorpe “my most particular friend.” A principle championed by Thorpe and later espoused by Willcocks was that colonial legislatures were independent. Basing his assertion on the authority of Sir William Blackstone’s Commentaries on the laws of England, Thorpe argued that the legislature of a colony such as Upper Canada, was, as Blackstone put it, “subject . . . to the control of Parliament though (like Ireland, Man, and the rest) not bound by any acts of Parliament, unless particularly named.” Thorpe, following Weekes, was struck by how far removed colonial government seemed to be from that ideal. Indeed, the possibility of misrule seemed to increase with distance from the seat of power. Men such as Willcocks and Thorpe were therefore even more sensitive to supposed abuses of power, and even more certain that the only solution to the problem of misrule was to recognize the legitimate legislative independence of the colony and to ensure that executive councillors considered themselves responsible to the legislature rather than to the governor. Many officials in Upper Canada were surprised by these views, not only because the colonial government seemed to them to be comparatively independent but, more important, because such attitudes seemed to show that critics were abusing the positions of trust they held. What in practice sparked the rise of a political opposition in Upper Canada was the widespread reaction against government changes in land policy, implemented between 1802 and 1804, which increased the fees on land grants and tightened the rules concerning the eligibility of loyalists for free land grants. That opposition was given a parliamentary focus by Weekes’s election to the assembly in 1804. In October 1806 he was killed in a duel, and when Thorpe ran, successfully, in the subsequent by-election Willcocks was active in his campaign. Between 1806 and 1808 an opposition group in the assembly formed around whig ideas and around the leadership of Thorpe and then Willcocks. This group seems to have derived its support from those with Irish roots and the small farmers and loyalists who had borne the brunt of the so-called reforms in land policy. Thorpe and Willcocks had a good perspective on the land issue. Willcocks, for instance, had worked at the land office; moreover, as sheriff, he had seen many people forced to sell their land at auction to pay off debts to merchants. 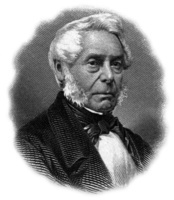 Both had been involved in the foundation and proceedings of the Upper Canada Agricultural and Commercial Society, of which Thorpe was chairman, formed to encourage the cultivation of hemp and to report on improvements made in agriculture and on the need for government assistance to farmers. Since the Executive Council had responsibility for land grants, after 1802 it became the focus of criticism and the symbol of arbitrary power. The concern with the council combined with the Irishness of Thorpe and Willcocks to add an overtone of nationality to an issue which was, at heart, one of constitutional proprieties and interpretations of law. Condemning the influence of merchants such as Robert Hamilton, Thorpe characterized the administrations of Hunter, Grant, and Francis Gore* as being “surrounded with the same scotch Pedlars.” To this group could be added such key office holders as John McGill* and Thomas Scott*, both from Scotland. John Mills Jackson*, the author of a pamphlet highly critical of the Gore administration, was reported to have reviled “that damned Scotch faction, with the Governor at the head.” Willcocks himself denounced the policies originating from the executive since 1802 as nothing less than the “tyrannical” actions of a Scotch clique. In the face of this challenge to the structure of authority in the colony, Gore moved swiftly to assert the power of his office. Much to the amazement of Willcocks and his friends, who were confident of the security of their appointments and the importance of their connections in Britain, in a short space of time the British government withdrew the appointments of Thorpe and Wyatt and on 23 April 1807 Gore removed Willcocks from the shrievalty, ostensibly for “general and notorious bad conduct.” These actions confirmed the group’s concern about the dangers of arbitrary authority in the hands of a colonial governor. Shortly after his dismissal from office, Willcocks moved to Niagara (Niagara-on-the-Lake) where he established the Upper Canada Guardian; or, Freeman’s Journal. A small four-page sheet, the paper was published from 24 July 1807 to 9 June 1812, “avowedly calculated,” as he wrote in the last issue, “to disseminate the principles of political truth, check the progress of inordinate power, and keep alive the sacred flame of a just and rational liberty.” Willcocks’s criticism of government was well within the limits of these touchstones of whig canon. Yet such was the world of Upper Canadian politics that many in official circles believed that his paper was financed by the United Irishmen, aided by American editors, and controlled by Thorpe. There were reports that Willcocks intended “to revolutionize the province,” and that he personally believed the government would censor him within six months of the paper’s founding. His friends worried because he was prone to trouble, unaccustomed to business practices, and unlikely to heed advice. The few issues of the paper that have survived indicate Willcocks’s continuing concern with liberty, oppressive land laws, and arbitrary power. Letters in early numbers from “A Loyalist,” reputedly Thorpe, argued that civic duty did not involve support for bad rulers: “Surely it would not be loyalty to assist a monarch in rendering himself absolute, who would overturn the constitution, and subvert the law?” The paper received widespread notice. Judge William Dummer Powell* complained in 1809 that it was in almost every house, and Gore lamented the “vulgar attacks” by the “Seditious Printer” which were “relished too much, by the good people of Upper Canada.” In fact, however, the paper contained remarkably little editorial matter, and it was premature for Willcocks’s enemies to label him and his followers “Rebels, and supporters of unprincipled demagogues.” In addition to the newspaper, Willcocks carried on a conveyancing business at Niagara. As he explained in the Guardian of 14 April 10, this undertaking was in part an effort to obviate the exorbitant charges of “the learned and conscientious gentlemen of the Long Robe.” He had problems with the paper and does not seem to have published between July 1810 and July 1811. In June 1812 he sold the press, which he said was “growing old and crazy,” to Richard Hatt for $1,600. He was certain that he could purchase “a new and complete set of Types and Press” for a quarter of the price. 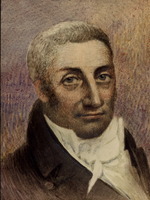 Willcocks won the by-election called in 1807 to replace Solomon Hill in the riding of West York, 1st Lincoln, and Haldimand and took his seat on 26 Jan. 1808. The fact of his election was significant. In the Niagara peninsula Thorpe’s opposition and particularly his stinging attack in 1806 upon local magistrates such as John Warren had, it seemed, unified a number of disparate, but progovernment, political groupings. Certainly the merchants led by Robert Hamilton had closed ranks with their old opponents, loyalist officers such as Ralfe Clench* and small office holders such as Isaac Swayze*. Despite this change Willcocks was re-elected in 1808 and 1812. Willcocks participated briefly in the fourth session of the fourth parliament before being jailed for contempt of the house. In the election held after parliament was dissolved on 21 May 1808, he was re-elected, without opposition, for the constituency of lst Lincoln and Haldimand. Although the legislative record of the first session of the fifth parliament (February–March 1809) has not survived, it is clear from the observations of contemporaries that Willcocks assumed the leadership of the parliamentary opposition. He may not have been as clever as Thorpe, who once remarked that Willcocks “did not possess a sufficiency of brains to bait a mouse trap”; none the less, Weekes was dead and Thorpe and Wyatt were no longer on the scene. As the editor of the only newspaper critical of government, Willcocks was in a position to coordinate and sustain the grievances of various groups against the administration. Moreover, as a man who had been dismissed by the governor and jailed by the assembly, he evoked the sympathy of other victims of supposed arbitrariness – small farmers on the one hand and petty loyalists anxious to retain their privileges with respect to land grants on the other. 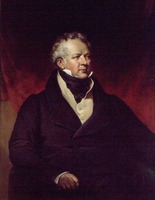 The opposition group for which Willcocks provided a focus throughout his legislative career grew steadily within the assembly; at the peak of its power in 1812 it controlled half the votes in the house. How Willcocks felt about his new political role is not clear. However, this active leadership contrasted sharply with his early years in the colony when as a diarist and a journalist his function was mainly to observe. Considerable controversy has surrounded the group, and Willcocks in particular, as successive generations of historians have sought to explain the basis of its political opposition. Most often, Willcocks and his associates have been understood simply as “intriguing spirits” frustrated in their search for political appointment. More probably, the opposition group was held together by pragmatic, but not entirely selfish, responses to legitimate grievances related to land-granting, executive power, and social inequities. The cohesiveness of the parliamentary opposition and its ability to affect the legislative process have also been the subject of a good deal of historiographical debate. Often that debate has concerned the extent to which it is accurate to label the group a “party.” It was not a party in the modern political sense. There was no formal structure although, for a time, Thorpe may have used the Upper Canada Agricultural and Commercial Society to provide some cohesion for the group’s efforts. Moreover, the parliamentary composition of the group fluctuated over time and, when disagreements occurred, there was not sufficient cohesion to enforce discipline and prevent members from voting independently. But it did mark a departure from the usual pattern of assemblymen working as individuals. The group’s composition and behaviour may be examined through a study of the division lists, that is, the recorded votes on individual motions, especially as the number of them increased during Willcocks’s career as an mla. An analysis of the divisions of the second session of the fifth parliament in 1810 indicates that Willcocks had a high percentage of voting agreement with six other members. Among them, David McGregor Rogers*, who had given only lukewarm support to Thorpe in 1807, worked closely with Willcocks and sided with him on 18 of the 21 divisions in which he participated. Benajah Mallory* supported him on 16 of 21 divisions, Peter Howard* on 18 of 23, and John Roblin on 18 of 20. His greatest backing came from John Willson*, who voted with him on 25 of 26 divisions. This group made a number of demands which the administration and its supporters in the assembly opposed: a civil list controlled by the legislature, lower salaries for public officials, easier regulations with respect to loyalist and military claims for land, and tighter controls over jury practices and electoral procedures. Particularly noteworthy was the group’s resistance to several motions to unseat members on the grounds that they were Methodist ministers, and the motions citing John Mills Jackson for libel. During the third session in 1811, Willcocks, Howard, Mallory, and Willson were in almost complete accord in 18 recorded divisions. Moreover, there was considerable support from Rogers and from the recently elected Willet Casey, Abraham Marsh, David Secord*, and Philip Sovereign. This group continued the fights of the previous session as well as seeking to exclude crown appointees from sitting in the assembly, to broaden the availability of schooling, and to reconsider the rates of assessment. The high point of the group’s opposition came in the last session of the fifth parliament in February and March 1812, under the threat of war with the United States. 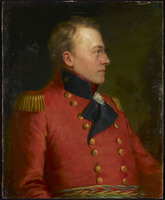 The colony’s administrator, Isaac Brock, was determined to push through the assembly measures calculated to put the province on a war footing. But he was not to have his way. The nine assemblymen of the previous session who had coalesced under Willcocks’s leadership were joined by Thomas Dorland* and John Stinson. Thus, in a house that contained 23 members Willcocks’s group now had a near majority. It received timely support from Thomas Barnes Gough, and the speaker, Samuel Street, who could vote only in instances of a tie, never did. Moreover, the group had considerable legislative experience which Willcocks and Rogers marshalled well. In the face of this strong opposition Brock dissolved parliament on 5 May and called an election, determined to get a loyal (and more pliant) assembly on the eve of war. Many members were not returned, but Willcocks was among the half-dozen re-elected. He won a resounding victory in 1st Lincoln and Haldimand, defeating Abraham Nelles by 154 votes to 40. Brock had high hopes for the new parliament with its many new members, including his highly regarded attorney general, John Macdonell (Greenfield). He called an emergency session, which was to run from 27 July to 5 August. 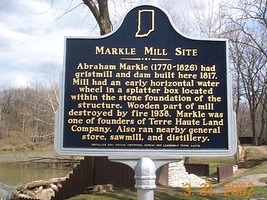 Yet even during a time of war, the assembly under the influence of Willcocks and the Ancaster miller Abraham Markle* refused to grant Brock such controversial legislation as the partial suspension of habeas corpus. Unable to secure the house’s cooperation, a disgusted Brock lost no time in proroguing it. Some historians have judged Willcocks’s performance in the assembly as if it were nothing more than a prelude to his treason in 1813. In fact, the invasion of Upper Canada by American forces in the summer of 1812 affected neither his opposition nor his loyalty. It needs to be reiterated that he saw no contradiction between the two. In the last issue of the Guardian on 9 June 1812 he maintained that he was an enemy “of the measures of the Kings Servants in this colony,” asserting at the same time that he was a “constant adherent to the interests of the Country.” Indeed, Brock appealed to this loyalty in August 1812 when he sought Willcocks’s cooperation in securing an alliance with the Six Nations Indians, whose reserve was in his constituency. Brock’s concern was that the Niagara peninsula would be flanked on both sides, should the Indians’ support go to the Americans. In spite of ill health, Willcocks took up the task willingly. Early in September he reported to John Macdonell (Greenfield), one of Brock’s aides-de-camp, that the mission had been completed successfully and that he was prepared to serve again if called upon. He then returned to Niagara, and he was subsequently mentioned in British army dispatches as one of several gentleman volunteers who served at the battle of Queenston Heights. Nor was Willcocks’s loyalty called into question during the first few months of 1813. The second session of the sixth parliament, held from 25 February to 13 March 1813, passed without incident. The Niagara merchant William Hamilton Merritt* wrote that Willcocks had become a “zealous loyalist”: “He has behaved very well on all occasions and so have all his party, altho’ they are trusted with no office whatever.” Furthermore, early in April William Warren Baldwin*, one of Willcocks’s earliest acquaintances in York, noted that his friend was then actively recruiting for the Incorporated Militia. One must either take a cynical approach to Willcocks’s actions in the months following the outbreak of the war, or seek another explanation for his treason in the summer of 1813. It is the timing that suggests there was more to his career than a pattern of disloyalty. 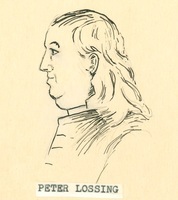 His loyalty was shaken when the climate of civil opinion within the province was altered shortly following the capture of York in April 1813 and the invasion of the Niagara peninsula in May. With the stabilization of the military situation after the battle of Stoney Creek on 5 June 1813, local élites, in both the Niagara and the Home districts, were able to demand the imposition of harsh military measures to curb the disaffected [see Elijah Bentley]. Willcocks, who had accepted with Thorpe the argument that colonial legislatures had, de jure, independent powers, had become convinced during his years in the assembly, and particularly during the important legislative sessions of 1812, that the maintenance of those powers required constant vigilance against executive despotism and arbitrary rule; if the legislature were to retain the right to act independently, it must prove itself worthy of the trust. The collapse of virtually all resistance to the erosion of the constitution by the executive dashed his hopes for the province. When during the Chesapeake affair of 1807 [see Sir George Cranfield Berkeley] the British forcibly asserted their right to search American ships for deserters, Willcocks wrote to an American correspondent: “The honest part of us say that if the States pocket the indignity they can no longer style themselves a nation.” The events of 1813 showed Willcocks that Upper Canadians were willing to pocket the indignity of arbitrary and, what was worse, military rule. No longer were they concerned to defend their liberties. Willcocks was not pro-American. He probably had never overcome his early conviction that the Americans were “not an honest people.” But he was certain they would never challenge or subvert the supremacy of the local legislature. Some time in July 1813 Willcocks crossed the Niagara River and offered his services to the American forces. By the end of August 1813 he had raised and was commanding a unit of expatriate Upper Canadians known as the Company of Canadian Volunteers. Among his fellow officers were such prominent figures from the parliamentary opposition in Upper Canada as Mallory and Markle. Indeed most of the unit’s 120 or so recruits were from the constituencies that these three men had represented in the assembly. The Americans valued Willcocks for his “zeal, activity and local knowledge.” In November and December 1813 he led scouting and foraging parties to Stoney Creek and the Forty (Grimsby), aided in the burning of Niagara, and participated in the subsequent retreat to Buffalo, N.Y. “Surpassed by none in enterprise and bravery,” Willcocks commanded his volunteers at Fort George (Niagara-on-the-Lake) and Fort Erie until on 4 Sept. 1814 he “received a mortal wound by a shot through the right breast” during an action before the latter. Willcocks was important as an observer of Upper Canadian politics, as the leader of its first sustained opposition group, and as a traitor. Trying to find a consistent thread in his career, some historians have come to the conclusion that his early professions of loyalty must have been lies. In other words, a traitor must be understood in the light of his treason. But this interpretation fails to take account of the developments in Willcocks’s maturing political opinions. During the course of his Upper Canadian career he became convinced that resistance to bad government was a duty demanded of loyal subjects. Individuals, colonies, and even nations had to prove that they deserved their independence through the vigilant defence of their rights. He came to see similarities among the situations in Upper Canada, Ireland, and the United States. Having concluded that the union of Ireland and Great Britain was a mistake, he was persuaded by 1806 that the United Irishmen had been right in their active opposition to misrule and that he himself had let Ireland down when she needed him most. Similarly, in their resistance to the British in the critical tests of 1807 and 1812 the Americans proved themselves worthy of nationhood in Willcocks’s eyes. When in the summer of 1813 Upper Canadians failed to defend their constitutional liberties and the maintenance of civil law, they forfeited not only Willcocks’s sympathy but also his allegiance. To find a consistent and rational thread in Willcocks’s political career it is not necessary to discount his words and emphasize his treason; rather, it may be found by paying closer attention to what he said, when he said it, what he did, and when he did it. Firmly in the opposition whig tradition, Willcocks opposed arbitrary and distant power, valued loyalty to his country rather than to his rulers, and believed in the independence of colonial legislatures. At great inconvenience to his own position, he pursued a public course consistent with those whig principles. AO, ms 503, D-2 (voters’ lists, 1812). William Blackstone, Commentaries on the laws of England (4v., Oxford, 1765–69; repr. Chicago and London, 1979), 1: 104–5. [Richard Cartwright], Letters, from an American loyalist in Upper Canada, to his friend in England; on a pamphlet published by John Mills Jackson, esquire: entitled, A view of the province of Upper Canada (Halifax, ). Doc. hist. of campaign upon Niagara frontier (Cruikshank). [J. M. Jackson], A view of the political situation of the province of Upper Canada, in North America . . . (London, 1809). “Journals of Legislative Assembly of U.C.,” AO Report, 1911. Town of York, 1793–1815 (Firth), 157–91, 232–37. H. J. Morgan, Bibliotheca Canadensis: or, a manual of Canadian literature (Ottawa, 1867; repr. Detroit, 1968), 393–94. Bernard Bailyn, The origins of American politics (New York, 1967). R. M. and Joyce Baldwin, The Baldwins and the great experiment (Don Mills, Ont., 1969). C. E. Beardsley, The victims of tyranny: a tale (2v., Buffalo, N.Y., 1847). Gates, Land policies of U.C. William Kingsford, The history of Canada (10v., Toronto and London, 1887–98), 8. J. E. Middleton and Fred Landon, The province of Ontario: a history, 1615–1927 (5v., Toronto, [1927–28]). H. H. Guest, “Upper Canada’s first political party,” OH, 54 (1962): 275–96. G. [H.] Patterson, “Whiggery, nationality, and the Upper Canadian reform tradition,” CHR, 56 (1975): 25–44. W. R. Riddell, “Joseph Willcocks: sheriff, member of parliament and traitor,” OH, 24 (1927): 475–99. Elwood H. Jones, “WILLCOCKS, JOSEPH,” in Dictionary of Canadian Biography, vol. 5, University of Toronto/Université Laval, 2003–, accessed April 20, 2019, http://www.biographi.ca/en/bio/willcocks_joseph_5E.html.